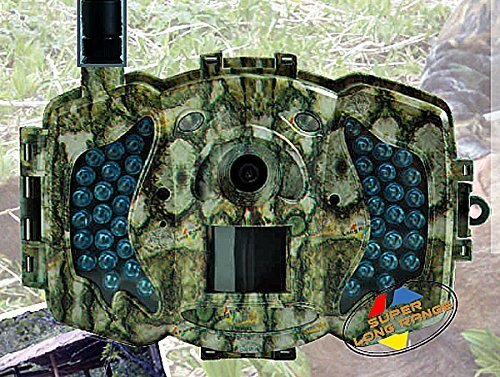 Trail cameras have been rapidly advancing its technology since 1880’s to address the rising demands and the continuous growing of hunting industry as well as the noticeable mounting of the market for scouting cameras. Nowadays, trail cameras have become more proficient with the integration of digital technology and the use of IR LEDs which results to an intensive improvement of the image and video resolutions as well as the photo storage capabilities. The application of IR LEDs to trail cameras enables to detect wavelength up to 1100 nm. This provides an additional source of light for cameras. As this part of the spectrum will be considered as read by sensors, IR is filtered out under color mode when there is more than enough light. This ensures that the color is accurate and not distorted to red. When it is dark, and the camera struggles to see with every last bit of light, the filter sets to let in IR light, and shift to black and white mode to avoid the color shift. As it is becoming a popular tool for viewing wildlife, it has also been used for home surveillance and security. 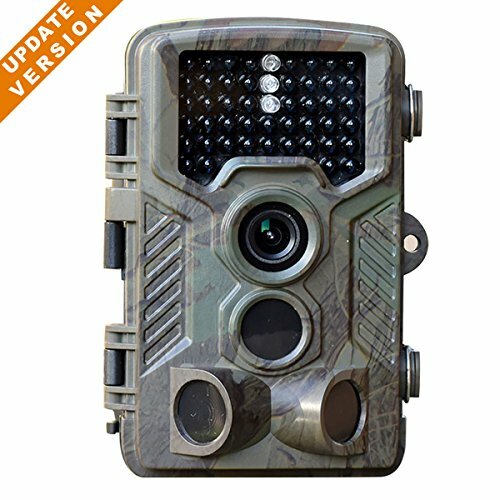 Below are the list of the heightened trail cameras with IR LEDs, enhanced trigger speeds and the application of software which the users can be able to adjust, optimize and use regardless of the lighting condition. Tec Bean Trail is a high definition camera that is furnished with 12-megapixel image resolution that gives a striking quality of your captured pictures. With its 1920x1080P video resolution and its audio up to 90 seconds that makes your video as vivid as the actual motion that presents even the tiniest detail of the environment which takes up to 9 photos in trigger within the range of 0.6-0.8. Its fast trigger speed and long night-vision range enables every movement before the lens to be captured instantly and could even extend its night time vision range up to 75ft/23m with its 36pcs no-glow IR LED. Also, it features its very own Hybrid and Motion Detection capture modes which guarantees you more options and fun regarding different wildlife and hunting adventures. With these two modes, it grants you access to multiple applications when using this such as seen in the image stamp which are time, date, temperature, moon phase, pressure, and geotag. It also entails real-time replay and interval recording for sufficient and accurate documentation in wildlife most especially for research purposes. These camera batteries could last up to eight months because of its patented energy-saving device that aids to decrease the power consumption. The storage is generous enough to handle up to 32 GB that can take thousands of pictures without risking its quality. The images are automatically saved in JPEG format and AVI for videos. It has 2 inches color viewer TFT LCD to view the photos on the spot, and it also offers seven languages option. It has a Blur Reduction. It is armed with waterproof IP66. Has built-in 2.0 inches LCD color viewer. 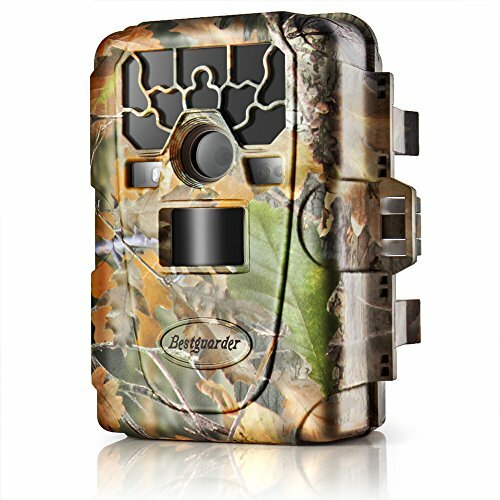 The Bestguarder 12MP HD Trail Game and Hunting camera is small but excellent when it comes to its performance which comes with 36 pieces of 940nm no glow IR LED and has a built-in highly sensitive passive infrared motion sensor (PIR). Has built-in 2.0 inch LCD screen with re-play function that allows the user to scan the images and the videos on the camera directly. It takes fuller and clear quality of colored images up to 12 MP during daytime and a monochromatic themed image during night time. It has high definition video clip with a sound that is perfect for wildlife, animal hunting, trail game, ecological monitoring or even home surveillance security. It has a unique function that can be triggered a particular region of interest through detecting such movements in 0.6-0.8 seconds. The camera also has a timer function that works automatically at a pre-set time from 00:00 to 23:59 and allows the user to set-up the camera to work at any time. Its long night vision range that can reach up to 75 feet or 23 meters at a distance even during at night time enables the user to have broader coverage of canvass. With barometric pressure, GPS Geotag, moon phase, temperature, time, date, and Camera ID stamp on the image. Your documentaries are well protected with its built-in security with password protection and can withstand underwater coverage since it is supported with IP66. Also, it has several capture modes that are suitable for your outdoor activities. It has a Photo Mode for taking an image by detecting movements in a promising quality of your choice 12MP/, 8MP, 5MP, and or 2MP and its Video mode that records video clips in full high definition of 1920×1080 resolution. Also, the Time-lapse mode that takes only an image at a preset time interval up to 24 hours whether there is or no detected movements on its surroundings and the Hybrid and Motion Detection Mode that takes only videos by detecting movements that could be an excellent use for researchers and professional users for documenting cold blood animals. Can easily connect to TV and PC with using USB cable. Has a programmable trigger interval up to 1 second to 1 hour. Can take both monochromatic and colored photos even in the distance. Clear and higher clarity even during night time. Works with the motion detection mode only at daytime. Can’t take photos if no movement detected. 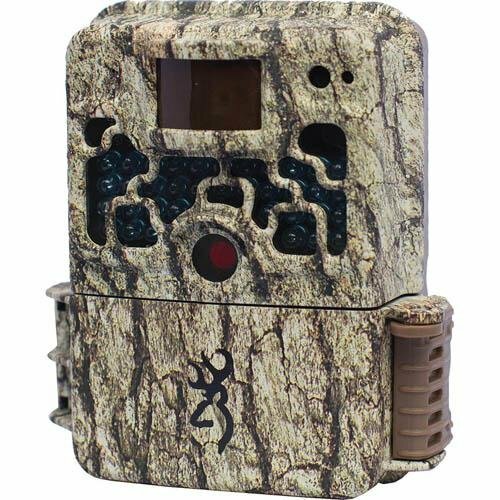 This friendly user trail camera has a one-switch operation that can be easily hidden in from big bucks and thieves because of the compact design that makes it perfect for surveillance monitoring. It has a 1-second trigger speed and 12-night vision LEDs that enables the user to have a stunning image quality of 5 MP. Primos Easy Camera is capable of supporting 32 GB SD cards that can take thousands of pictures and or videos. It holds 4 to 8 AA batteries for extended use which is way cheaper. It is made with a weatherproof design for optimum usage and can automatically provide IR filter for day and night coverage. This camera can aid in capturing razor-sharp images even up to a range of 30 feet. Moreover, it is ergonomically designed, and the body is made from a high-quality material which helps it to be used even in rough weather conditions. It also allows printing of time, date, and moon phase on the pictures that are derived from it. However, this is an optional feature which one can turn on and turn off as desired. This camera is made compact for people who love to go on outrageous adventures such as wildlife hunting, ecological research, and security surveillance. It can capture 10MP picture quality that grants you excellent sharp shots without any visible dents of blur and records video clips with audio sound that holds 5 seconds up to 2 minutes. It features a quick trigger that is 0.67-second during daytime and an infrared flash that ranges 50 feet to 100 feet during night time. Thus, whether you are on the move on any terrain, you do not have to worry getting professional shots since Browning Force Game Camera is designed for any outdoor activities. Also, it has its very own unique feature that is called Browning Buck Watch time-lapse viewer software that enables the user to snap pictures at a specific preset interval that helps the user to create even more charming pictures. There are also other options available such as Rapid Fire that the user could create and take up to six images every time that the camera is being triggered. Its storage can hold up to 10,000 pictures. 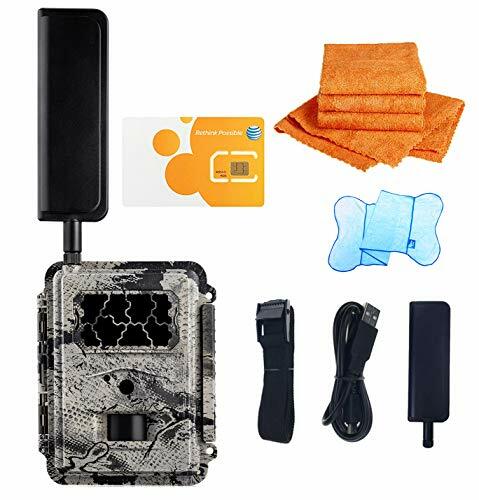 Boly Wireless Trail Camera advanced its features and used cellular sim cards to send and transmit photos and or videos to the user’s mobile phones or via email that the user can actively preset the program on motion and timed intervals. What makes it more fascinating is that you can manage the setting of the camera thru 3G communications and has the long detection range of 100 feet and a 90 feet invisible black IR flash range. It can quickly recognize movements thru its sensitive sensor that can capture excellent resolution pictures up to 30 MP and 1920×1080 high definition video quality. The latter can be viewed on its built-in 3 inches colored LCD while its storage can support up to 32 GB SD cards that can hold up to 10,000 pictures without degrading its quality. Also, it features native support for solar and external power options for further use when you are in an isolated terrain. No need to panic when it is snowing while you are documenting since this camera is designed to withstand cold weather conditions. Since this camera uses sim cards, it has a free mobile application available for iOS, Android, and Windows that works on AT&T, T- Mobile and Cricket Wireless. The user can control the settings anywhere and monitor its battery life via text messages or email notifications or can even take commands to take pictures on its own. 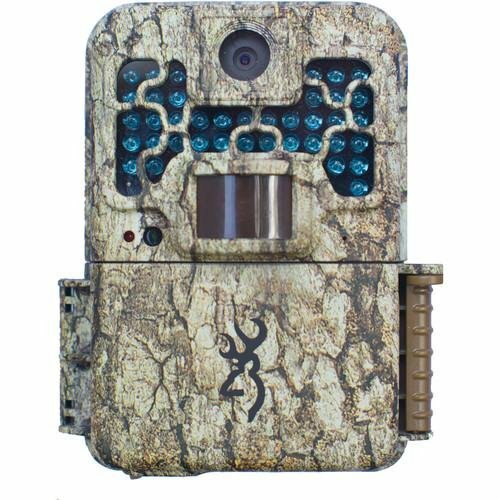 This trail and game hunting camera can snap photos up to 16 MP with clear and blur-free outputs and produces fuller colored images, especially during daytime while clear black and white themed pictures during nighttime respectively. It also does video recording that gives 1920x1080P high-quality resolution with audio and has an impressive lightning-fast trigger of 0.6 seconds with a pre-boot of 0.2 seconds that means no delay in taking still images. Also, it will never allow you to miss any extraordinary moments thru its very own feature that can take multi-shots up to 3 pictures each time. With 48 pieces 940nm invisible IR LEDs, it allows taking photos or videos up to 82 feet/25 meter distance even at night. 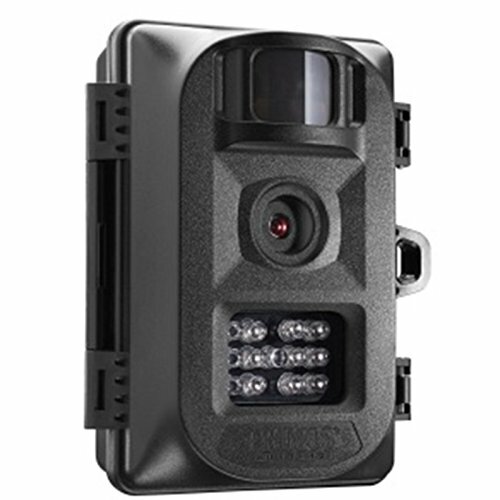 Flinelife trail camera has its latest type of sensor detectors that can recognize up to 80 feet range that is armed with 125° detection angle with low-glow black covert LED lights that can reach up to 65 feet flash in dim lights and or during nighttime setting. It is safe and friendly to use since it will never cause any disturbance even in the midst of a natural or wild habitat. Also, it is suitable for beginners as it provides easy and understandable instructions. The built-in presetting of the camera is perfect for wildlife mainstream applications. It might be used on a trail, nest sites or even outdoor activities and ecological research. For professional users, it gives easy access to customizing the camera setting on a 2.4 inches user-friendly set-up screens and enables them to preview and replay both pictures and videos. It is designed for rugged use and made compact for an ultimate wildlife experience. The camera is wrapped with a flawless sturdy and leasy-operated latch for protection. Users can also attach it to their tripods since there is a threaded insert on the bottom of the camera and its back bracket fits a strap as well. It is also equipped with IP56 waterproof gear so it can be submerged in underwater and can withstand more extended period outdoor coverage. 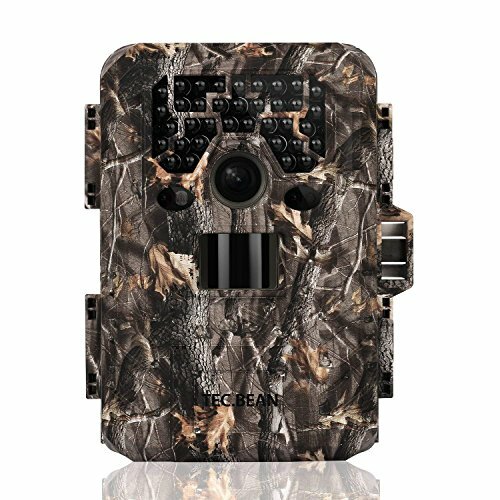 Right out the box, Spartan spits the deep camouflage colored camera that is ideal for trail hunting hiding. Leading the way as the newly introduced GoCam that is powered by AT&T. With its smooth setup, this wireless camera is one of the few friendly user cameras that offer all level of users the advanced features and high-quality images. It stands among others due to its high amount of customization. It has all-in-one design and easy installation that wouldn’t bother to hassle the beginners. Also, the camera is powered by 12 AA batteries and is a Standalone installation without tugging wires and no required external power source. This is made durable to endure both harsh environment conditions and prolonged exposure to a natural habitat. Its ultimate feature is an under-one-second trigger speed, and the IR LED array gives an ample illumination that is up to 70 feet and beyond for vivid and sharp night images and videos. It provides excellent photo resolution that can be set up to 8MP and a video resolution as high as 720 HD with audio sounds. You can set the camera to overwrite the oldest image saved on its SD card with the most recent photo if the SD card is already jampacked. You can also set your desired duty time so that it will not take pictures all the time with each different trigger intervals and time-lapse settings. For optimum uses, there are flush case mating areas on both rear and front case halves so it can be used even with the intervention of water. Can get easy access to the GoWireless application. 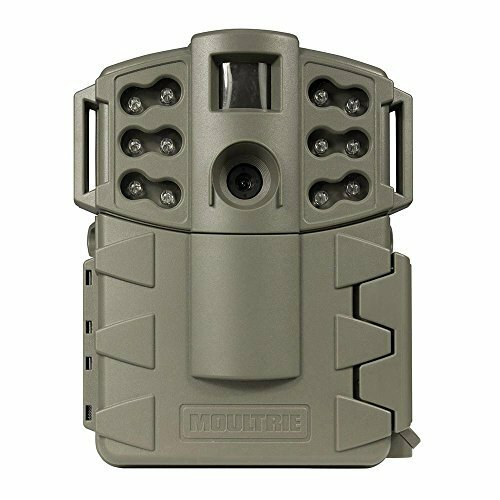 Moultrie Game Spy can maintain every notable moment in the wildlife. It gives you a good performance of 5 MP photo resolutions up to 40 feet detection range, and a length of 50 feet for flash range that enough scope of coverage. It is armed with a long-range nighttime infrared flash. The camera is designed to cater from the ground up, and the A-5 Gen guarantees the users a high-value hunt with its updated new look, shorter delay and its multiple shot modes that you can personalize your images according to your choice. It takes pictures below 1.5 seconds after detecting motion trigger until it captures valuable field of intelligence. Its newly improved lens design is capable of getting more vibrant colors while its enhanced IR filters provide longer lifespan and accuracy that makes it feasible for both nighttime and daytime exposure. Its long lasting battery life is enhanced with compression mean that enables the A-5 to take and hold pictures up to 16, 000 images before getting the low batt. Also, selectable 3-image in a multi-shot and single-shot is added to the settings for the camera’s versatility. Can be set for 10-second, 30-second, 1-minute or 5-minute delays. 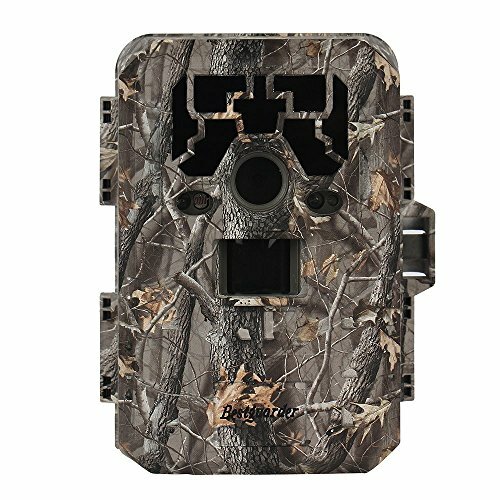 This rugged Flexzion Game and Trail Hunting Camera allows you to take footage during your remarkable moments with the burst rapid-fire continuous shooting that can take up to 9 pictures in a single shot at a fast trigger speed time of 0.6-0.8 seconds. It also enables users to reprogram the time lapse and do the time switch. Time-lapse could snap pictures at a preset interval from 1 second to 24 hours. Despite the speed, it offers superb photos in a 12 MP high definition live color image with up to 4 times digital zoom capability. Video footage can be done with audio in a high-quality full-color resolution at 720P to 1920x1080P HD. Also, it automatically set itself in low ambient light to night vision mode through motorized IR-Cut-Remove filter for clearer monochromatic images during nighttime. It has 36 times no glow black IR LED night vision flash that is capable of covering more extended distance detection range up to 75 feet and takes vivid pictures or records video regardless of its light condition. It has an adjustable PIR motion sensor for further use especially for cold-blooded animal surveillance security and its mode that continuous and simultaneously captures a full HD resolution images and recorded videos on every trigger. Flexzion’s battery pack can support a solar panel connection fora longer extension of battery life. Never get the Wi-Fi 32G SD card to work in the Wi-Fi mode. With 10 megapixels along with IR LED illumination, Browning Recon Force FHD gaming camera gives you a tremendous quality of images most especially during the daytime that is being enhanced now on par with the Strike Force 850. It features Zero Blur technology that gives maximum quality images and video quality of 1920×1080 HD resolutions that allows preview and playback of video clips on its 60 inches screen without risking the quality of its outputs and has the fast speed of 0.6 seconds trigger. It also involves new features such as Browning Buck Watch Time-lapse viewer software that is readily installed within its program. The case design of the Recon Force Extreme is almost flawless. The camera feels sturdy and well-engineered. The strap and python cable bracket on the back is metal unlike other cameras that use plastic, and it has a threaded slot on the bottom. Also, the battery compartment and SD card slot are both easily accessible, and the Recon Force could store 9,304 pictures on the SD card.